Most of us already know that both the Earth’s surface and the human body are made up of about 70 percent water. And most of us have long assumed that water, and perhaps life itself, is unique to Earth. Or at least this was the case until late last year, when NASA unveiled the “strongest evidence yet” of liquid water on Mars. Of course, as Paul’s words remind us, the reason that announcement was so exciting was not because of the water per se, but because of the life that water implies. So, once more, the fires of the age-old question were stoked: Is there life on Mars? Do aliens exist? While recent developments suggest that we’ll now only have to wait until the 2030s before a manned mission to Mars becomes a reality, perhaps we can answer those questions above right now, not by looking to outer space, but by looking right here on Earth. Many researchers contend — as discussed in “Alien Oceans,” an upcoming episode of Science Channel’s Space’s Deepest Secrets series — that the harsh, alien conditions found in the oceans of other planets and moons in our solar system can be approximated in a few unbelievably bizarre places, and by a few unbelievably bizarre creatures, on Earth. 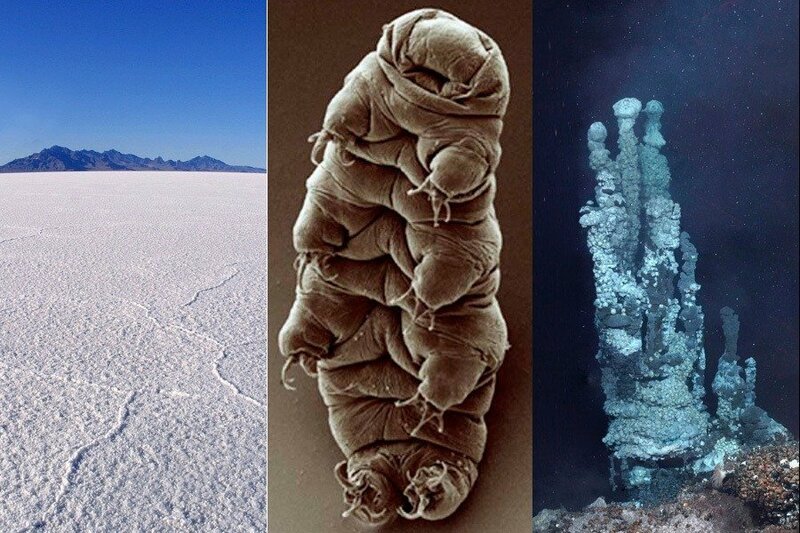 Here are some of those weird terrestrial locations and the astounding alien-like life living there now that could hold the answers about whether or not alien life exists. 4.5 billion years ago, 19 percent of Mars had an ocean as deep as the Mediterranean, with waves twice as tall as those on Earth. It had a thick atmosphere and its habitability was actually similar to that of Earth. Today, however, Mars’ oceans are gone, leaving only a small amount of water but a good amount of salt behind. To find the conditions of today’s Martian “oceans” here on Earth, you can only look in a few places, including the Bonneville Salt Flats. 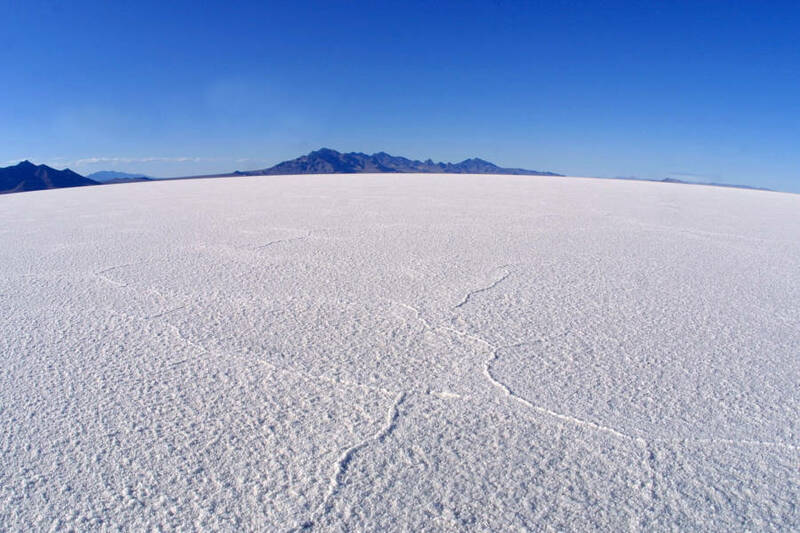 Stretching 40 miles across northwestern Utah, the Bonneville Salt Flats are a desert covered only in salt and other minerals. But not even terrain this inhospitable can approximate the conditions on Mars. For that you also need extreme cold. While the Bonneville Salt Flats don’t have temperatures that low, researchers can nevertheless evoke Martian conditions in a roundabout way. Although Mars is indeed significantly colder than Earth, it also, unlike Earth, has a wobbly axis (because of the effects of its moons and Jupiter on its gravity) that slowly tilts it forward and backward, closer to then farther from the Sun. So, when its axis hits its closest point to the Sun, about every 100,000 years, Mars has a warm period much more hospitable to life. Thus, the question becomes: Could life on Mars somehow survive, in hibernation, the approximately 100,000 years between warm periods? Then, if we’re going to find evidence that suggests there’s life on Mars in the Bonneville Salt Flats, the question becomes: Is there anything that can survive, in hibernation, for 100,000 years in Bonneville? Now, in using Earth as a stand-in for Mars, the findings at Bonneville get around the temperature problem by looking at organisms that can hibernate through cold stretches. But are there any animals on Earth that can actually live through Martian levels of cold? Once again, the answer is yes. The tardigrade, also known as the water bear and moss piglet, is a micro-animal that just might be the most durable creature on Earth. For 530 million years, tardigrades have lived from the poles to the equators, from the heights of the Himalayas to the depths of the ocean floor, from -450 degrees Fahrenheit to 300 degrees Fahrenheit. 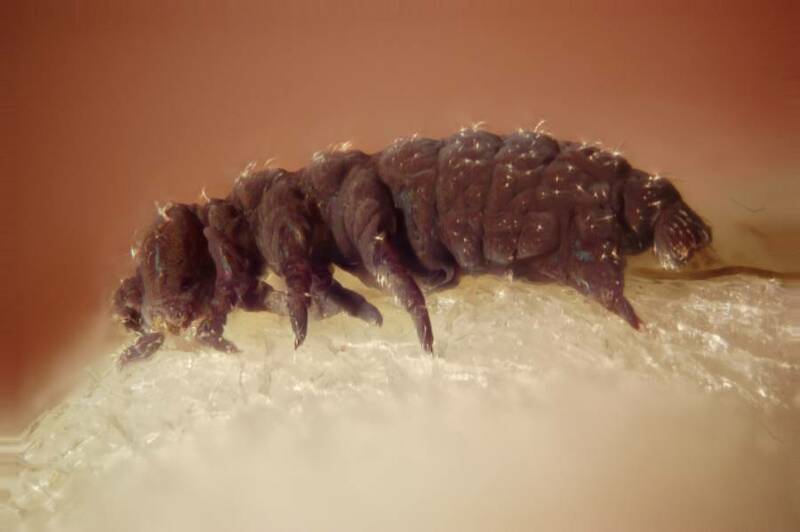 They can survive without water for at least 10 years, in radiation at 1,000 times the levels that would kill a human, and even in the vacuum of outer space. Thus it’s no surprise that researchers like Byron Adams and Carl Johansson of Brigham Young University, profiled in “Alien Oceans,” contend that the tardigrade suggests that life on a place like Mars is entirely possible. 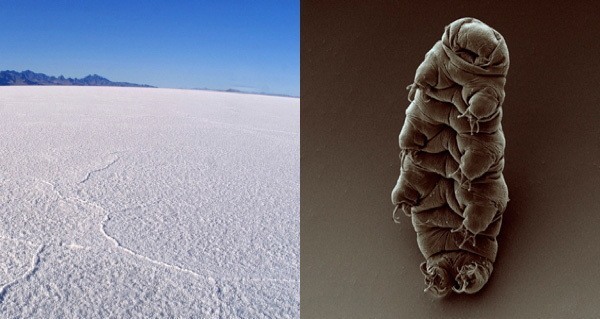 While the tardigrade can survive in some astoundingly extreme conditions, all of those conditions still involve the Sun. If we’re going to use strange places and creatures on Earth to gain insight about how life might work in alien oceans, we need to find an area with little to no sun. The foot of the East Pacific Rise, an oceanic ridge stretching from just above Antarctica northeast all the way up to the Gulf of California, sits over two miles below the surface of the ocean. 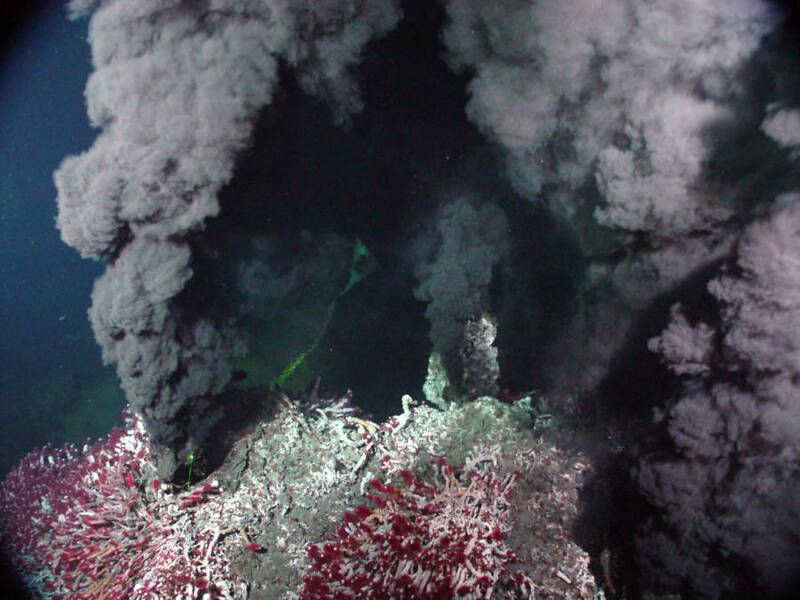 Along the ridge, you’ll find no sun but plenty of hydrothermal vents, spewing geothermally-heated water. This bizarre scene is not unlike the one discovered in the ocean lying beneath the ice on Enceladus, one of Saturn’s moons. And the fact that there is indeed plenty of life along the East Pacific Rise has many researchers thinking that Enceladus might just support life too. Likewise, Titan, the largest of Saturn’s moons, and Ganymede, the largest of Jupiter’s, each has large oceans of water beneath their sheets of ice. And NASA now plans to send a submarine to the former while the European Space Agency, in 2022, will send a probe to the latter. Perhaps then we’ll have an even better idea of what lies beneath the surface of these alien oceans. Explore more “Alien Oceans” on Space’s Deepest Secrets, May 17 at 10 p.m. on Science Channel. Next, see the new calculation of the Drake Equation that provides the exact odds of whether aliens exist. Then, get the details on Stephen Hawking’s recently announced $100 million search for alien life.